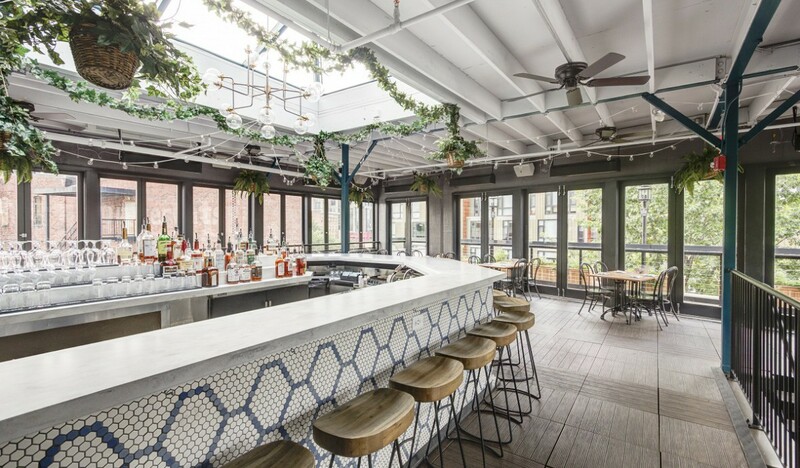 Hospitality Construction Services was excited to once again team up with Edit Lab of Streetsense to bring to life TAKODA Restaurant & Rooftop Bar. 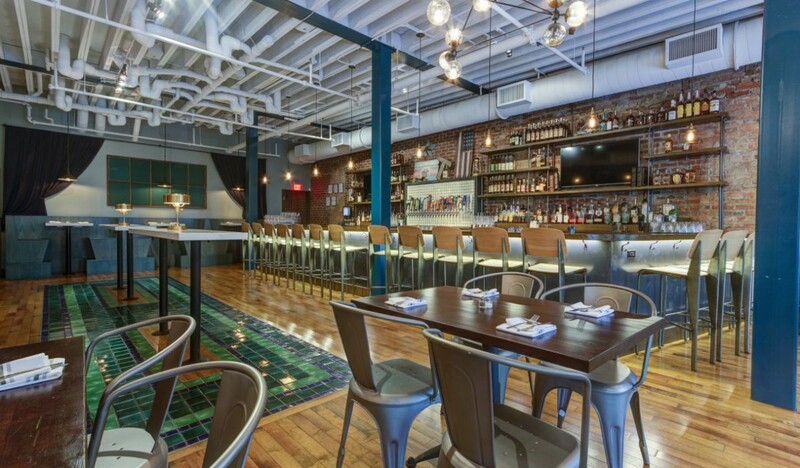 TAKODA, located in the Shaw area of DC, is the latest vision from Seelbach Entertainment. 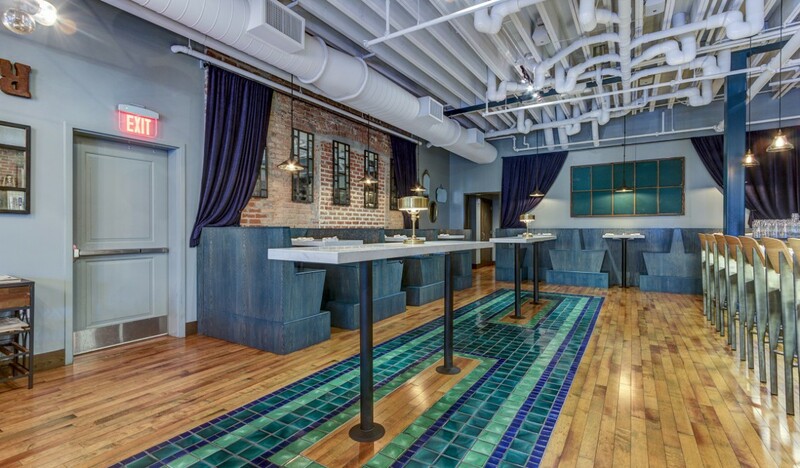 The team worked together to produce a relaxed Americana bar/restaurant atmosphere while addressing the challenge of incorporating the architecture of an old bank building to create two different ambiances within the establishment. 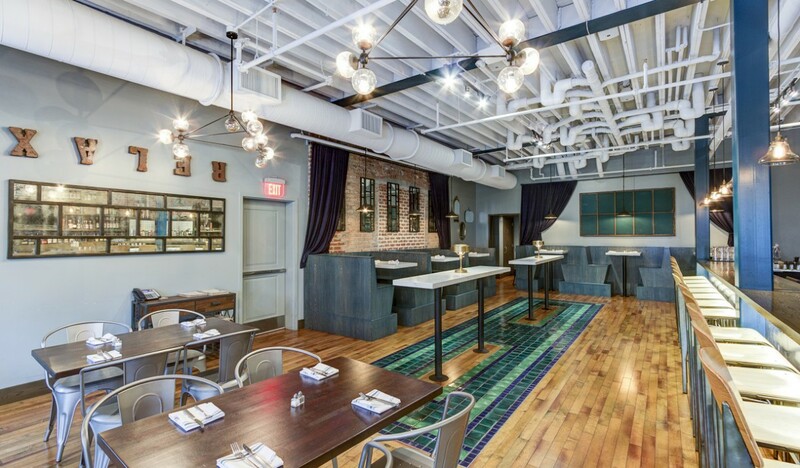 The second-floor restaurant features high-end finished tile, dark natural woods and original brick brightened by a wall of windows which gives patrons a cozy inn feel, yet with the captivating charm of Louis Comfort Tiffany. 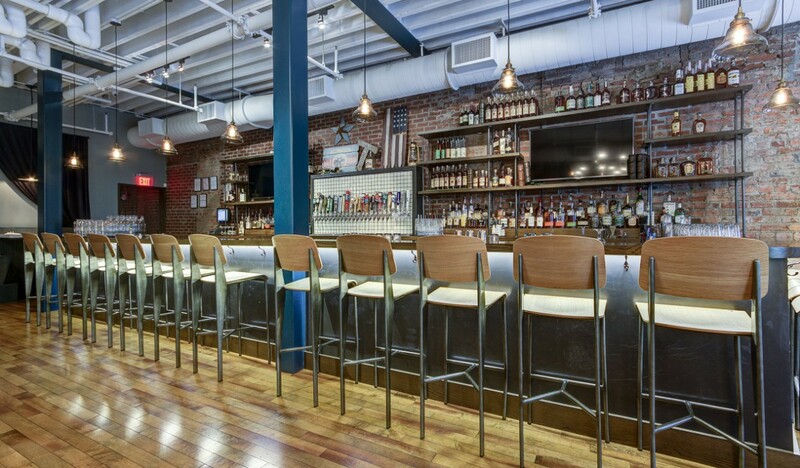 The seats around the bar and table area were selected for an easy, comfortable atmosphere for all patrons. 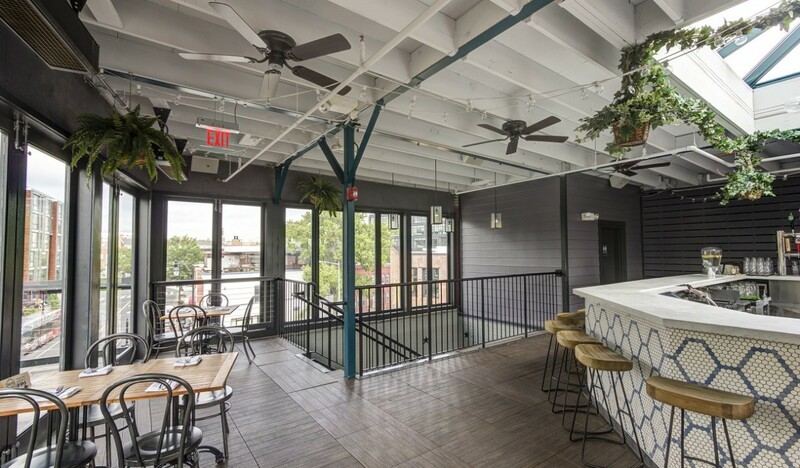 The addition of the rooftop bar brings the influence of ye ol’ German beer garden theme while the contrasting light, bright colors and foliage offers new world charm. 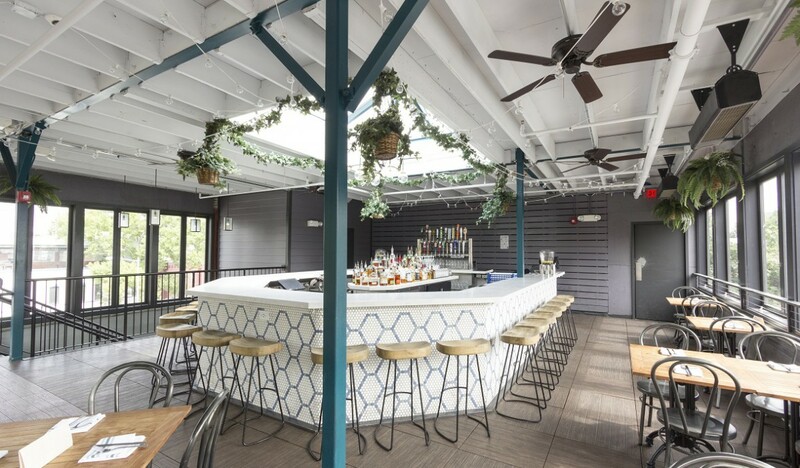 The addition of a 9 x 12 skylight over the mosaic tiled bar brings in even more natural light, and the open-air balcony allows patrons to enjoy their beverages outdoors while basking in all of DC’s finest views – including a panoramic of the City – all of which truly makes for a beautiful night under the stars. 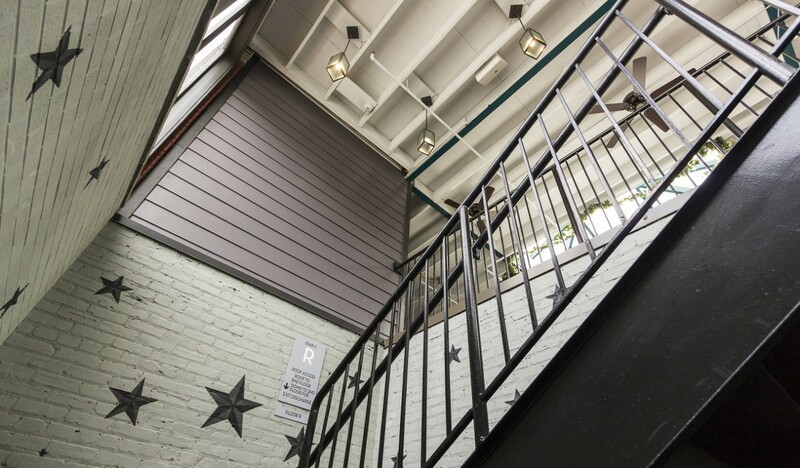 Outdoor heaters are ready for firing at the first sign of chill in the air. 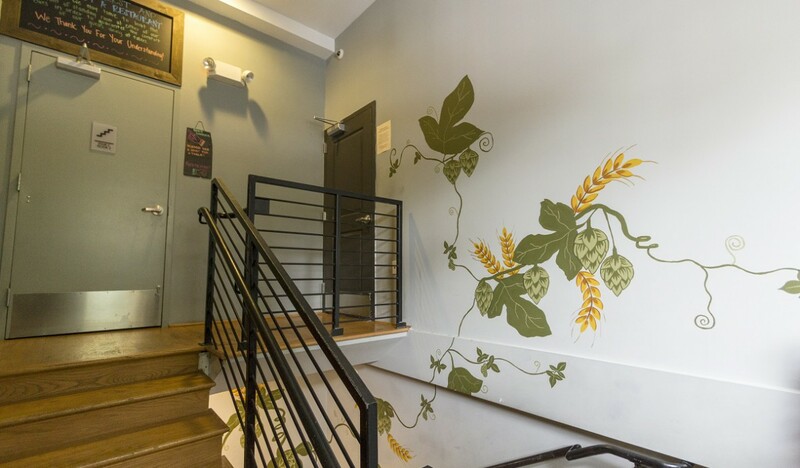 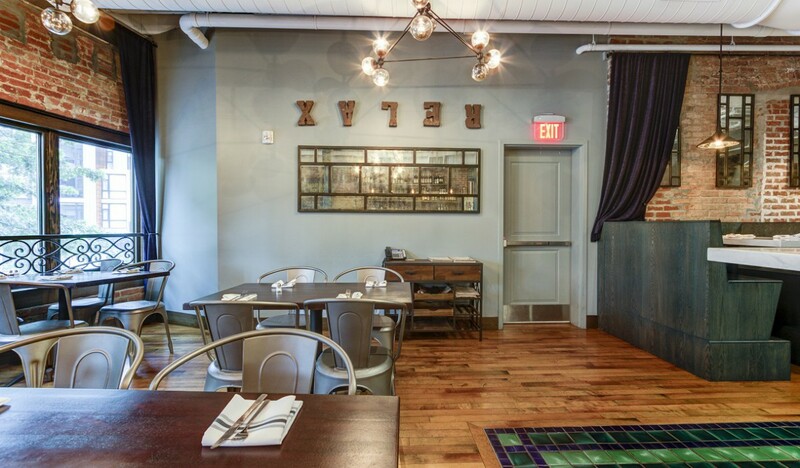 Bringing American beers and liquors together in two separate, yet combined, eateries was genius on the part of Seelbach; TAKODA serves American food – entrees that are found in the heart of America – hamburgers, mac & cheese, sweet potato waffles and shrimp & grits. 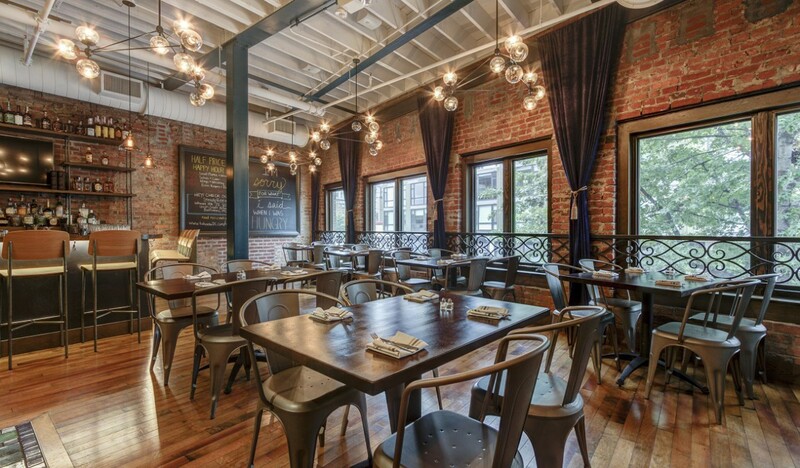 TAKODA prides itself in serving high-quality products in an affable and cheery restaurant that is sure to appeal to both young and old. 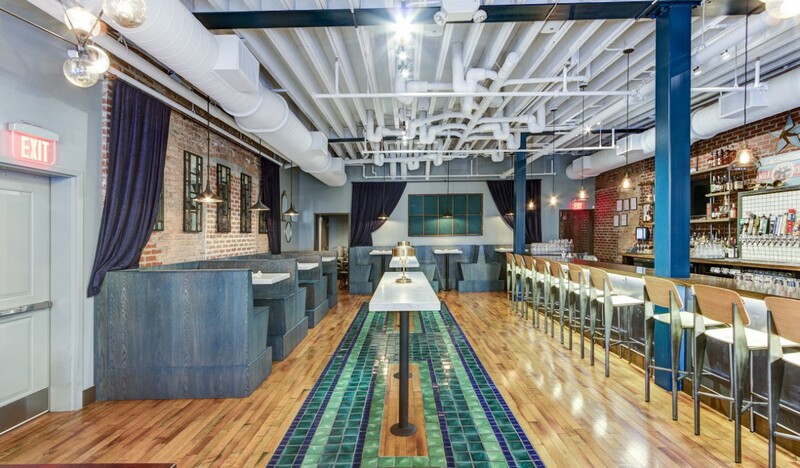 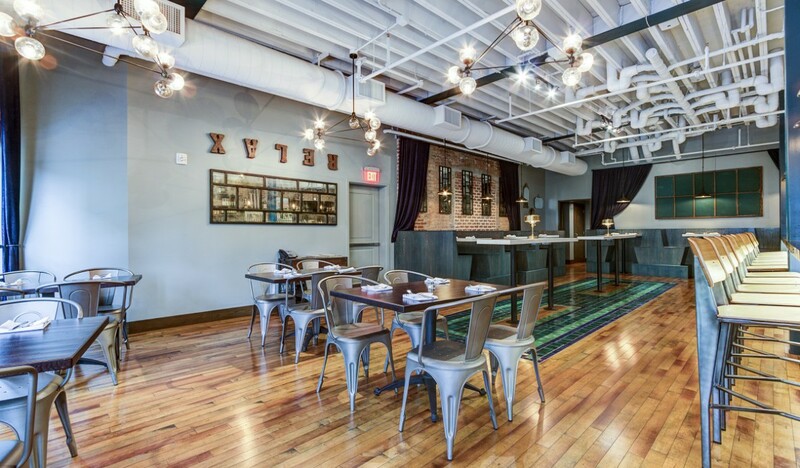 Hospitality Construction Services was pleased to again work with Seelbach Entertainment from the design phase to the first serving of skillet mac & cheese in another exciting restaurant project.